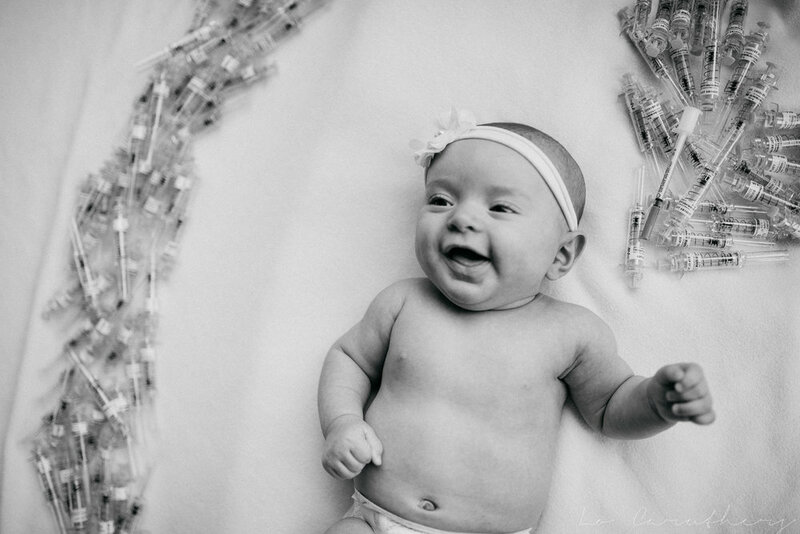 It's hard to express how much I absolutely loved this infant session. 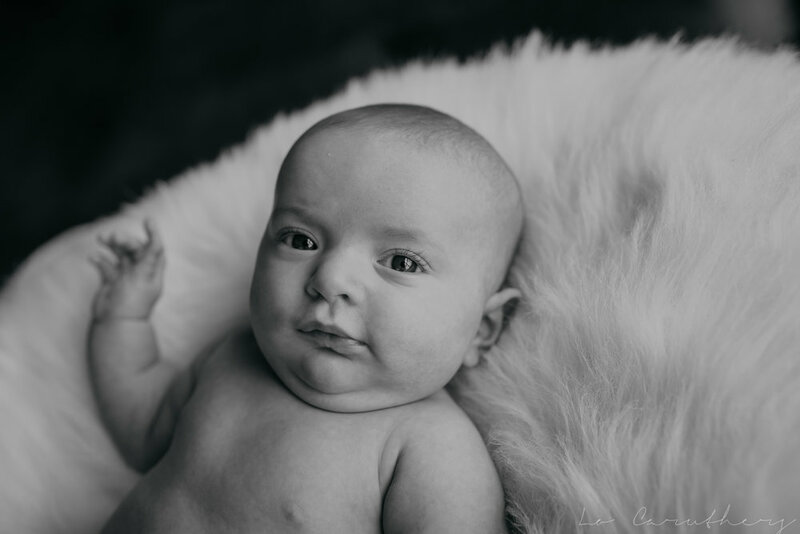 I got a message from Denise a few months back, stating that she was regretting not having newborn photos taken of her miracle baby. Baby H was already 12 weeks old, and she wanted to have them done asap! So, of course I was more than happy to help her out. My own little girl is now a toddler and the sweet baby snuggles are a thing of the past. It was going to be a blast to hold another tiny bebe. I drove out to their amazing ranch and let me just say this- ranch life is the best life. Remind me again why don't we all live on ranches?? This place was massive, gorgeous, secluded in the best way, and had tons of deer, casually watching us in the mist. Denise met me at the gate because 1) I drive a Prius and they don't exactly have a paved road to their home and 2) because it was, and had been raining for quite some time so there was a pretty good chance that if I did manage to make it back to their house, I might never get my little car out of there. So, she pulled up in her King Ranch and we made the trek up to the main house, with tiny little sleeping baby H in her carseat. 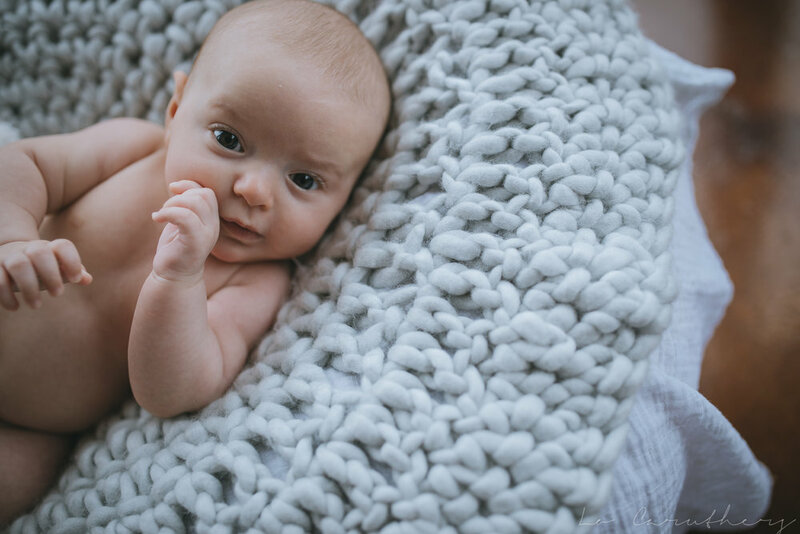 I instantly loved chatting with Denise, which worked out great because an infant photo shoot takes so much longer than any other kind of session, and you don't even spend the majority of that time shooting. Over the course of the next few hours, we posed and shot a few photos, stopped to feed and change, shot a few more photos, feed/change, snuggles, shooting, etc. Denise was great and baby H was a dream!